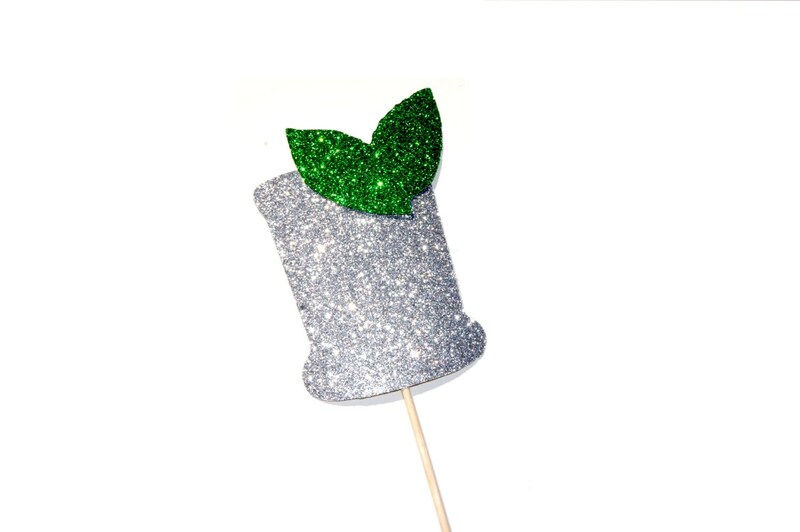 Mint Julep Photo Prop featuring GLITTER! Perfect for Roaring 20's, Great Gatsby, and Kentucky Derby themes! The perfect addition to any prop set! The way these props sparkle is unbelievable - wait till you see them in person! We have been featured in US WEEKLY MAGAZINE, PERFECT WEDDINGS MAGAZINE as well as a variety of blogs and websites including SWANKY CHIC FETE, BRIDEFINDS, and PRETTYLITTLEWEDDINGS.COM! ♥ Ships via USPS Priority Mail with tracking/delivery confirmation (for USA shipping only- please see our policies for international shipping)! This listing is for a set of 1 ultra-cool prop on a stick! If you would like more of an item or different colors and combinations, just shoot me a convo and we’ll be happy to create a custom listing for you!